Handsome zippered leather padfolio carries your message with style! Inside zipper pocket and open gusseted pocket hold all the necessary items to keep them organized and on-task. Includes a 30-sheet replaceable 11" x 8-1/2" lined notepad. Zipper closure holds it all together. Size: 13-1/4" x 10-1/4" x 1". 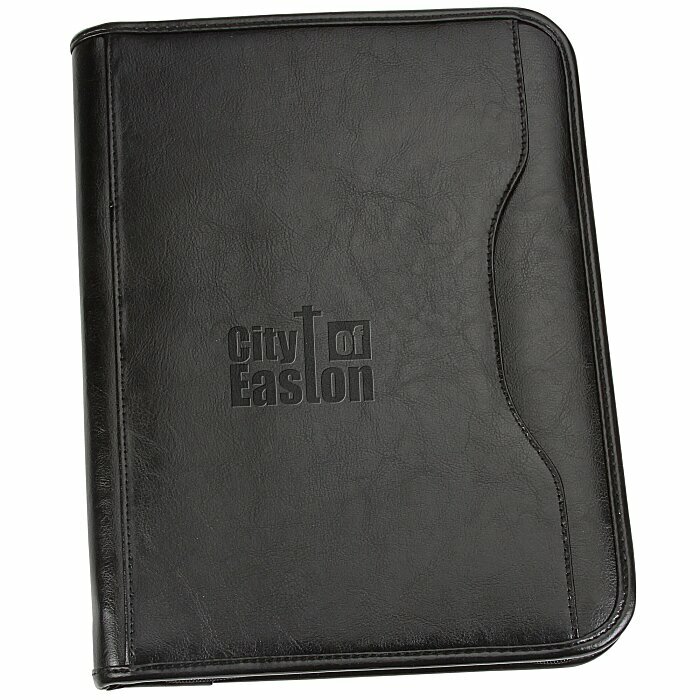 Your price includes a debossed imprint on the front of the portfolio with the spine left.